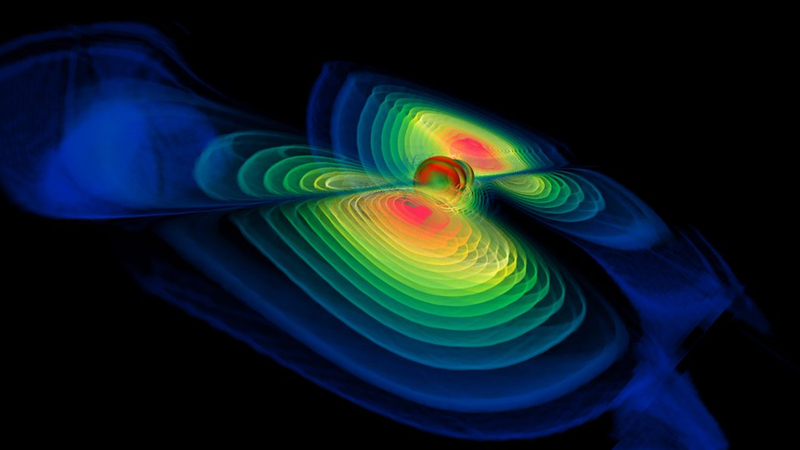 Experience the power and beauty of LIGO, a new kind of telescope—one that observes not light but gravitational waves from millions of light years away. LIGO, which stands for Laser Interferometer Gravitational-wave Observatory, is made up of two installations in Louisiana and Washington. Operated as a single powerful observatory, LIGO is at the cutting edge of our exploration of the cosmos. By delving into the fundamental nature of gravity, the massive physics experiment is hoping to open an entirely new window onto the universe. This jam-packed interactive exhibit, courtesy of the National Science Foundation, featured a model interferometer with laser, a space-time curvature simulation, games to find the hidden gravitational wave in the static of the universe, even a mirror from the real LIGO. Overhead, an artist’s dazzling light sculpture depicted the universe LIGO is trying to observe. For more information visit http://ligo.phy.olemiss.edu/LIGOexhibit/.